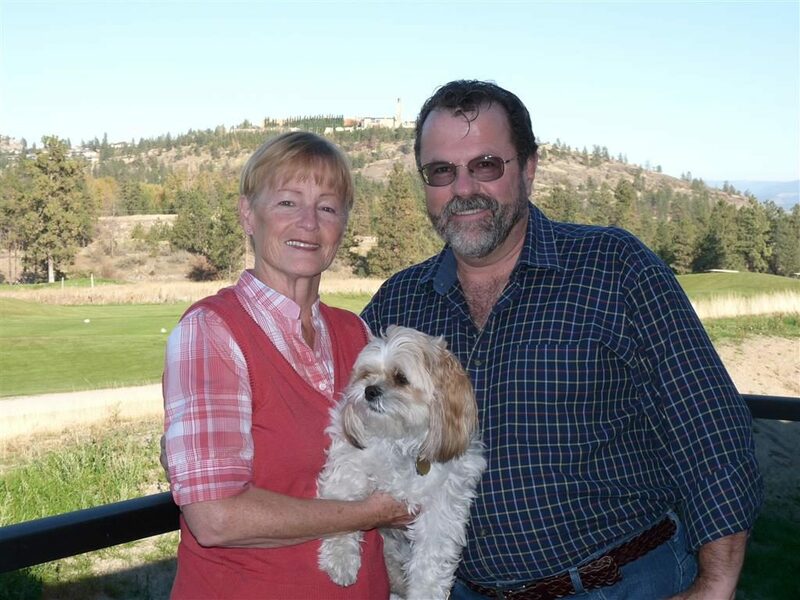 Jean and Dennis Wandler’s first view of Sonoma Pines was in 2004. 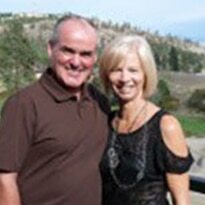 They were sitting on the patio of the golf course enjoying lunch on a perfect Okanagan summer day. Then a couple of years ago their daughter, who lives in Kelowna, reminded them about Sonoma Pines. Wrapped around the fairways of Two Eagles Golf Course and overlooking the shores of Okanagan Lake, the colourful Sante Fe style development offers single family, multi-level, or innovative one-level townhome options for over 300 residents. Located minutes from the retail hub of West Kelowna and nearby to beaches, wineries, and parks, the development is a quiet oasis within a busy urban centre. “I wanted my garage back,” says Dennis. “Plus, quality is really important to me. And we are very pleased with the quality of construction here, it’s second-to-none.” Although they enjoyed living in phase four when phase six opened up they went back to the sales centre and had another conversation with Harty. Now the sales manager at Sonoma Pines, Harty recommended a new floor plan to the Wandlers. The Santa Rosa is expansive with 1,242 square feet on the main floor and the unfinished walkout basement plus it has a standard two car garage. Harty showed them a corner lot perched on the southeast slope overlooking both the fairway and the lake with Mission Hill Family Estate Winery towering on the hill above. Phase eight offers four different home styles including the Wandler’s Santa Rosa floor plan. It is a popular choice for couples like the Wandlers who have children living nearby who come and bring the grand children for visits. “Sonoma Pines is the perfect location for couples who still want to have space but not the hassle of maintenance,” admits Harty. Dennis Wandler doesn’t argue with that. As successful as phase eight is for the home buyer looking for a bit of space, the apartment sized units that are defined as one-level townhomes in phase seven have practically sold themselves into extinction. Out of the original 18 townhomes available, only four remain. The show homes for phase seven were opened last spring and the foundations for the sold units are now poured while the streets are roughed in.